There is a certain procedure to follow when you set the side glass in the car. The factory assembly manual helps a lot. 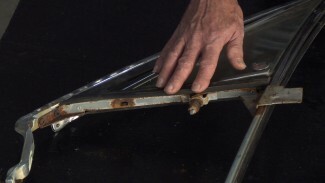 Learn tips as you watch Craig Hopkins set the car side glass. 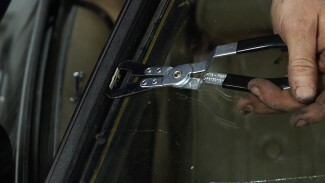 He also demonstrates the installation of the door panel, armrest, door handle and window crank. 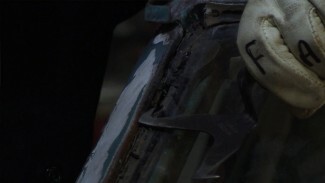 Lastly, he installs the sill plate. 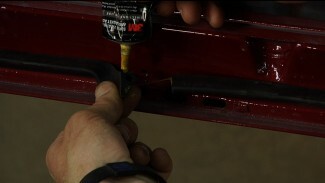 Craig Hopkins teaches you a three step process of refinishing Chassis car parts. Each step is done in preparation for the step after it. It is important to make sure to take the time to refinish all small parts as well.